Triple net real estate is extremely popular among investors for its low-risk, high-return nature. 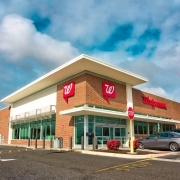 But, how does a triple net lease work? To understand exactly how a triple net lease works, it’s helpful to know about the different types of commercial leases that are most common in net lease real estate. Distinguishing these differences can help you determine exactly what type of lease structure best suits your portfolio and income goals on your investment property. 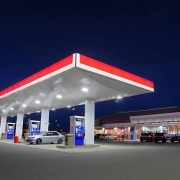 This post will cover the main types of net lease real estate you should know, and explain how triple net leases work from both investor and tenant standpoints. 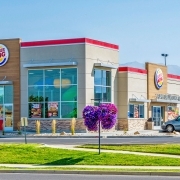 A single net lease is usually set up so that, in addition to monthly rent on the property, the tenant also assumes financial responsibility for the annual property taxes. Single net leases fairly uncommon, and usually, the property owner will take on the task of collecting the amount due in taxes from the tenant, and then remit it to the government each year to ensure taxes stay paid and current. Since single net leases only pass through property tax, this means the property owner must pay for other expenses and operating costs, along with all the maintenance associated to the building. 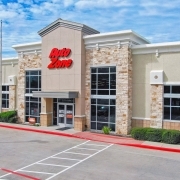 A double net lease typically passes along property taxes and all insurance policies and premiums to the tenant, in addition to a monthly rent payment. The property owner in a double net lease still acts as a landlord and is responsible for handling all the building maintenance, operating costs and upkeep on the property that’s needed to keep it in good working order. Triple net leases tend to vary substantially from one agreement to another, and it’s not uncommon that there are clauses that give the property owner a portion of financial responsibilities, especially when it comes to insurance. In general, triple net leases are considered “turn-key” from an investment standpoint and usually provide a very low-risk, low-touch, but high-return opportunity for commercial investors. In an absolute NNN lease the terms of the deal are, as the name implies, entirely absolute. This means that the tenant agrees to assume complete financial responsibility for every aspect of the building (from taxes and insurance to repairs and maintenance) in addition to a monthly rent payment. An absolute NNN ground lease is an agreement between a landowner and a tenant, in which the tenant leases land for a new build. The lessee is the owner of the building only and is responsible for all the expenses and costs associated to constructing and maintaining a business location on a leased piece of land. The landowner, however, is typically still responsible for the property taxes on the land itself each year. In contrast to net leases, gross leases are deals that are structured so that the tenant only pays an agreed upon monthly rent payment. Gross leases do not require renters to cover any expenses, taxes or insurance associated to the building, as these will all fall under the responsibility of the property owner or investor. While you can certainly offset all of the building costs, taxes and insurance by building them into the monthly rental cost, you’ll need to be prepared to handle any expenses that arise on the property which can dent your profit margin if large costs come up unexpectedly. 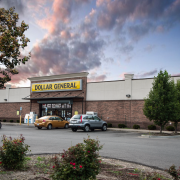 How Does a Triple Net Lease Work for the Investor? When purchasing a triple net property, an investor will typically finance all or a portion of the cost of the building and then use rental payments to pay off the financed portion (all while keeping a monthly income stream coming in through the excess of the rent charged versus their monthly payment on the property). Often times, investors will hang on to a triple net property and use it as an equity builder for at least 5 years and then sell the property when the market peaks, population spikes or when they’re ready to use that equity in their next investment. Frequently, when an investor comes in on a triple net property, there is already a tenant agreement in place which outlines all the specifics of the deal, complete with clauses that outline exact financial responsibilities of both the tenant and the property owner. By purchasing a property with an existing triple net lease in place, you inherit the terms of that deal as they’re outlined. This means that you should pay very close attention to every detail of the existing lease before deciding to purchase the property so that you know ahead of time if you will be responsible for any insurance premiums or major structural repair costs (which are often distributed between landlord and tenant or are the responsibility of the property owner). If you’re bringing a tenant into a commercial property you own, under a triple net lease, then you can definitely benefit from working with a net lease advisor to properly structure your lease according to your exact specifications and goals. You’ll also need to carefully vet your prospective tenants to ensure that they have solid credit profiles, proven business success and plan to operate a business in your location that will have longevity. 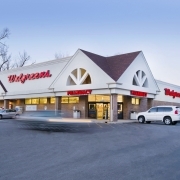 How Does a Triple Net Lease Work the Tenant? In a triple net lease, the tenant will assume responsibility for every aspect of the property that is outlined in the deal. They will pay annual taxes, fund repairs or upgrades to keep the building in good working order for their business, and cover insurance premiums and claims as required. All of these things can be built into their business expenses and considered costs of doing business. 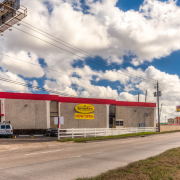 To secure a triple net lease, a tenant must have an exceptional credit profile and a proven track record of success in the industry. 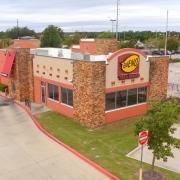 Tenants are vetted beforehand to help minimize risk and ensure that the tenant is prepared to enter a long-term agreement such as an NNN lease. Sands Investment Group is the fastest growing net lease investment company in America, with over 1,700 transactions in 48 states (to the tune of $4 Billion) since 2010. Our company is comprised of distinguished experts in the space who fully understand the advantages of net lease real estate and can advise you on how your net lease deals should be structured (as well as help you navigate existing net leases on properties you may have an interest in). Our client-focused approach, extensive connections and marketing expertise are just a few of the ways we’re leading the net lease industry.